Simple step-by-step instructions and gorgeous full-color photographs make every drink recipe easy and truly swoon-worthy. Author and bartender Clair McLafferty offers insider tips and tricks for everything from sizing up recipes for a party to fixing a drink that didn’t turn out quite right. Sidebars show how to master details like floating flowers, muddling herbs, and garnishing drinks with amazing bitters art. And throughout the book, readers will find drinks-relatedromantic quotations and toasts from the likes of Shakespeare, Louisa May Alcott, and James Baldwin. Whether you are looking for a romantic gift or a reliably excellent cocktail book for your home bar, Romantic Cocktails will knock your socks off! "The latest release from Clair McLafferty, Romantic Cocktails, is a great example of a fresh perspective. 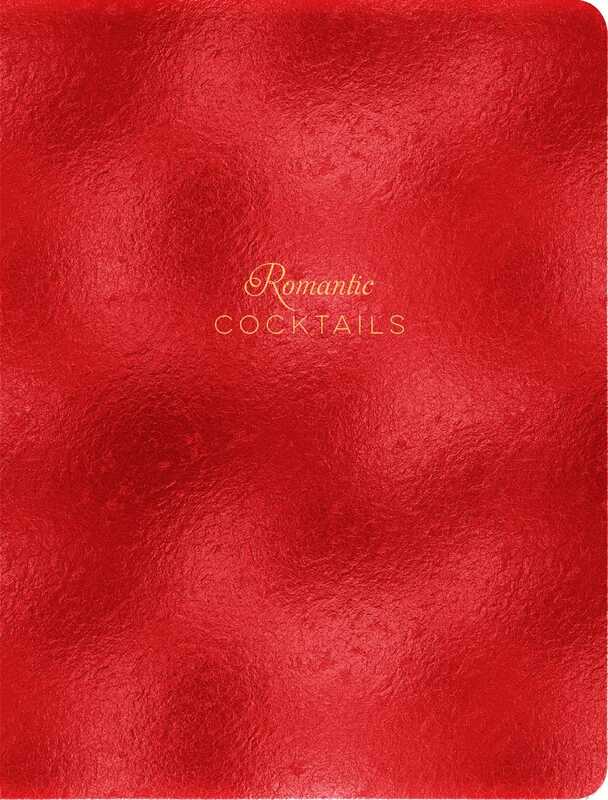 The first thing to mention about Romantic Cocktails is how stunning the metallic red, pillowed hardcover binding is. It’s the perfect aesthetic for a book of passion-filled recipes. The corresponding photography is also top-notch, with unique setups for the showcased recipes." "Clair McLafferty is a craft bartender and the author of Romantic Cocktails, a sleek red book featuring more than 100 drink recipes. McLafferty’s book features cocktails for just about any love-related situation... The book also makes sure you have everything you need to mix and serve drinks properly, because when it comes to romance, presentation matters." "McLafferty’s book is full of fun drinks for first dates and long-time couples to enjoy alike." "Though the cocktails [in Romantic Cocktails] are organized under categories like 'new love and crushes,' 'breakups and broken hearts,' or 'engagements and weddings,' the cocktails are more versatile than the title suggests." "The most romantic drinks are those chosen with care to match the tastes of your partner, says top mixologist Clair McLafferty. A well-made cocktail demonstrates the depth of your love far better than the mere uncorking of a bottle of wine."